Louise Wright is an energetic, outcome driven B2B/B2C marketing professional with 17+ years' experience in global, GEO and channel-based roles in high-tech. 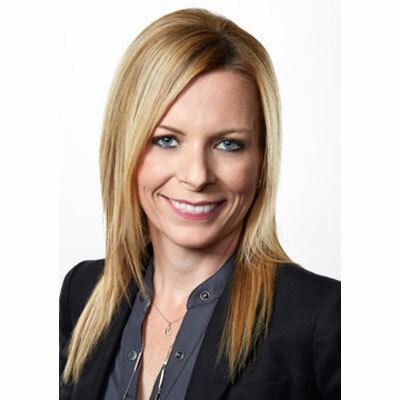 In her present role at Citrix she is responsible for setting the strategy, messaging, creation and delivery content for partner-led campaigns and initiatives that drive preference and engagement for Citrix in the partner ecosystem. She holds strong values in helping partners tell their story, promote their uniqueness and lead with winning campaigns that help accelerate their time to market, drive productivity and build revenue. Before joining Citrix in 2012, Louise gained over a decade of experience within the Cisco European marketing organization, building her expertise within a variety of communications, marketing and influencer programs. Kicking off 2017 with a full-scale project focused on completely overhauling and integrating all partner marketing automation systems and tools to deliver a single, consolidated platform for all lead and demand generation content, processes and automation in to a single solution. This was a huge undertaking for us as a team in coordinating field, GEO and partner requirements globally to successfully land the project end-to-end in less than 60 days. By launch day we had seamlessly migrated >2500 partners into an all-new system, arming them with c250 demand generation activities to execute from the get-go. Next came an increased focus on content to elevate the effectiveness of partner campaigns with a standardized framework as the benchmark for campaign development. A key driver here was to build and deliver the 1st class content for partners to enable them to execute campaigns with greater impact because they are built at the core with a partner-first lens - focusing on voice, tonality, areas of expertise and more customization features. Now, all of our campaigns offer a richer, broader set of content marketing activities that span across the buyer's journey with top, middle and bottom of funnel content to execute fully end-to-end campaigns. I am excited to continue to focus on building and delivering scalable, end-to-end demand generation campaigns that not just enable but empower partners to execute the most impactful campaigns that will drive revenue in 2018. This year I earned my certification from Content Marketing University and completed the Sirius Decisions Campaign Planning Pathway. These have proven invaluable in both my personal and career growth as marketing needs continue to evolve across the organization overall, and in particular for success with my focus on partner marketing. This year undoubtedly the most high-fived admired woman for me (and in my household) has to be NASA astronaut Peggy Whitson - the most experienced female astronaut in history! Simply out of this world admiration for such devotion to exploring the unknown - in the unknown - and returning to share that knowledge for many generations to come. I'm 100% fascinated by how anyone can reintegrate and begin to recite their experiences from something as incredible as that. I'd start by instilling over and over - never be afraid to follow your instincts. If you don't know the answer, ask - it's ok to lean on others for knowledge and support when you need it. Different perspectives count but remember not to lose sight of your own vision too. And guess what? It's ok if you're wrong - that's how experience grows. Ask "Why?" but also ask "Why not?". You really are more resilient than you know. As my role Global in nature I would absolutely love to master a new language that would allow me to gain new experiences (both professionally and personally). While I have been fortunate in many ways to enjoy good exposure to roles internationally, I do believe there are strong tangible and intangible benefits in the value we can deliver to our key stakeholders and customers when there is a deeper level of business understanding. Confession: It takes a lot for me pick up and finish a book cover to cover. I don't have a favorite genre per se, but I do enjoy stories that are relatable. This year I dusted out a copy of "The Van" by Irish author Roddy Doyle. I enjoy the humor and humility he brings to life with friendships, families and the reality of overcoming hurdles in life - however relative they may be. It's not all fish and chips at the end of the day but... they can sure taste good along the way!